Axert, which belongs to a group of medications called triptans, is the brand name for the drug called almotriptan. This drug is typically used to treat acute migraines in adults and teens. 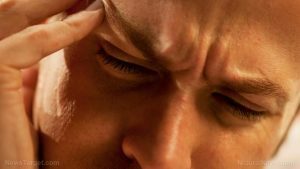 It works by narrowing the blood vessels around the brain to relieve pain from migraines. It will not prevent migraines or reduce the number of attacks. It is also not used for cluster headaches. This medicine is only prescribed when a person’s migraine is not relieved by other pain relievers like acetaminophen or aspirin. The body systems that may be damaged by include the nervous, digestive, and respiratory systems. The food items that may help prevent the side effects of Axert, particularly dry mouth, include ginger, green tea, pineapple, lemon juice, orange juice, fennel, aniseed, rosemary, celery, parsley, fish oil, apple cider vinegar, yogurt, and cayenne pepper. Natural treatments for the side effects of Axert, particularly dry mouth, include drinking plenty of water, avoiding caffeinated beverages, limiting alcohol intake, giving up smoking, avoiding foods rich in sugar, improve oral hygiene, avoid breathing through your mouth, getting a humidifier. You could also try using herbal remedies, such as aloe vera, ginger, hollyhock root, marshmallow root, nopal cactus, Spilanthes, and sweet pepper. Axert is the brand name for the drug called almotriptan. Axert is typically used to treat acute migraines in adults and teens. Axert works by narrowing the blood vessels around the brain to relieve pain from migraines. Axert causes dry mouth, nausea, vomiting, numbness, tingling, or burning sensation, dizziness, drowsiness, or a mild headache. Axert may also cause allergic reactions, signs of high blood pressure, constipation, diarrhea, throwing up, severe abdominal pain, fever, weight loss, leg cramps, heaviness or tightness in the leg muscles, feeling cold, burning or aching pain in the feet or toes, change in eyesight, or loss of vision. The side effects of Axert, particularly dry mouth, may be prevented with ginger, green tea, pineapple, lemon juice, orange juice, fennel, aniseed, rosemary, celery, parsley, fish oil, apple cider vinegar, yogurt, and cayenne pepper.